The Zitiron (perhaps a corruption of Ketos or whale), or Soldier of the Sea, is a heavily armored marine fish. It has a rough and hard skin over its head like a helmet, and a long and wide shield hanging from its neck, attached by thick veins and nerves stretching from neck to shoulders. Its thick arms are two-fingered. 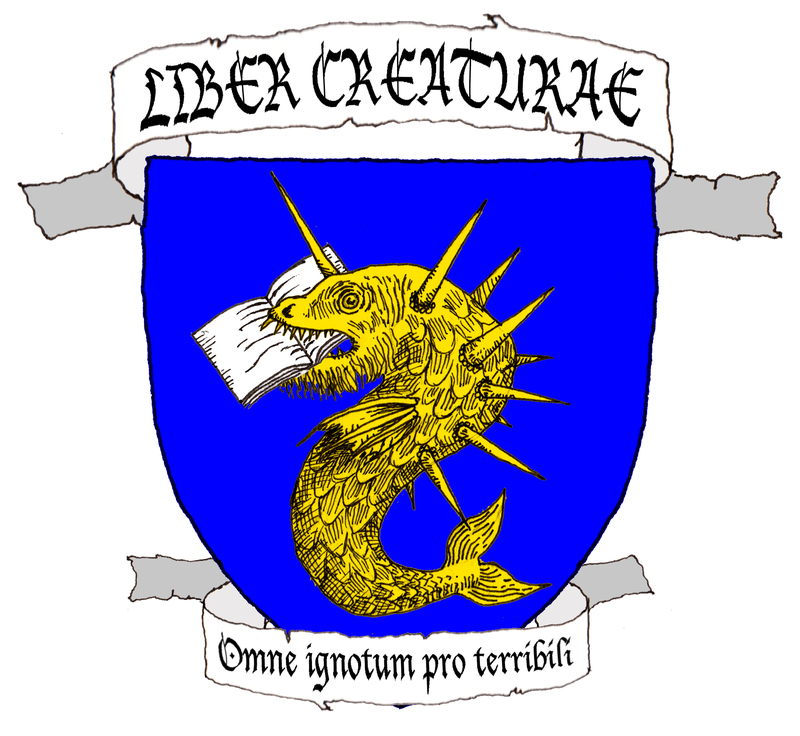 It is long and wide, more or less triangular in shape, with a fish’s tail at its end. A zitiron is impervious to arrows, and can only be killed by bludgeoning it with hammers; it defends itself with its armor and with swipes of its strong arms. Medieval illustrators took the description of armor rather literally, turning the zitiron into a sort of merman encumbered with full plate armor, helmet, shield, and sword. 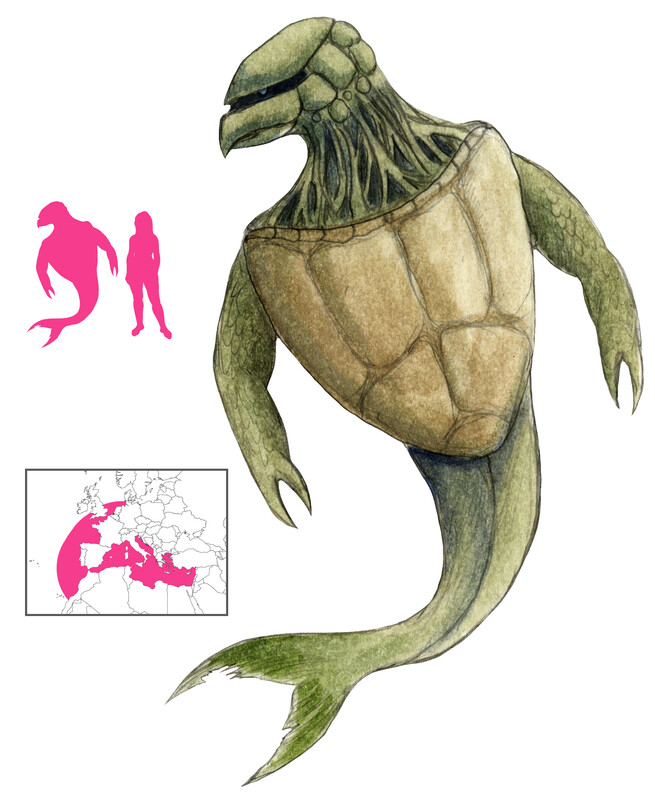 It is not hard to see a turtle in the zitiron’s description. Turtle shells have also been used as shields by various cultures, making the resemblance even more appropriate. Albertus Magnus asserted that Flemish and German fisherman give the name of “soldier” to turtles, because they have a helmet and a shield. The desire to see analogues of terrestrial entities in the sea completed the zitiron. Vallot, M. (1834) Mémoire sur le Limacon de la Mer Sarmatique. Mémoires de L’Académie des Sciences, Arts, et Belles-Lettres de Dijon, Partie des Sciences, Frantin, Dijon.